sciencemug sip science & laugh: PLUTO & NEW HORIZONS: THE TRUTH! PLUTO & NEW HORIZONS: THE TRUTH! 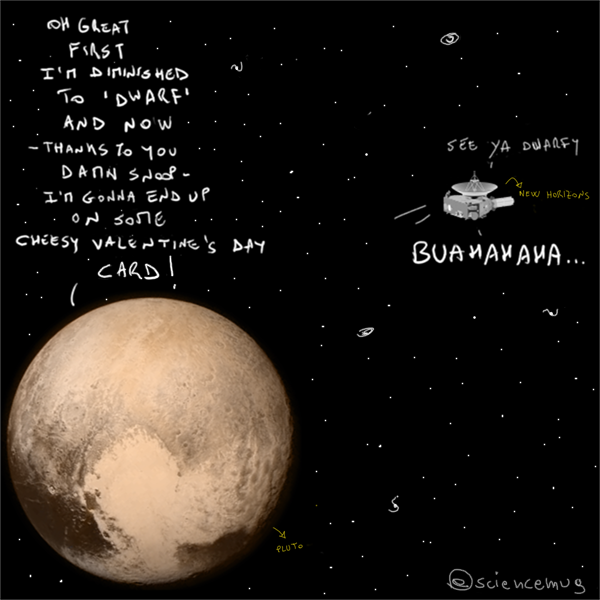 Pluto- Oh great, first I'm diminished to "dwarf", and now -thanks to you, damn snoop- I'm gonna end up on some cheesy Valentine's Day card!